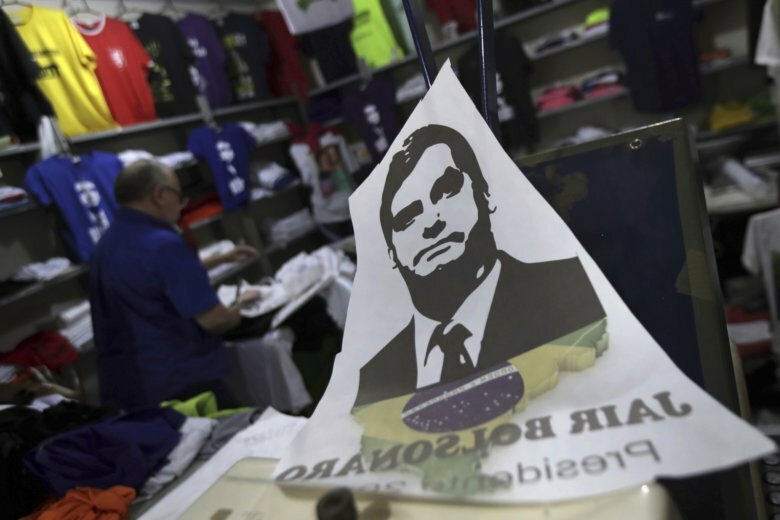 SAO PAULO (AP) — Brazil’s far-right presidential candidate Jair Bolsonaro said Friday he would only accept the result of next month’s election if he wins, suggesting that any victory by a rival would be through fraud. Bolsonaro, a retired army captain who leads polls ahead of the Oct. 7 vote, did not provide any evidence that there will be vote fraud, but he said he doesn’t trust Brazil’s top electoral court. “From what I see in the streets, I won’t accept any result that is not my election,” the candidate told TV Band. Bolsonaro, who was hospitalized on Sept. 6 after being stabbed at a campaign event, has accused the rival Workers’ Party of having fraud as its plan B in the elections. His comments about vote fraud have been rejected by Brazil’s electoral court and the Organization of American States, which is overseeing the elections. If no one candidate wins a majority of the vote in the first round, a runoff between the two top vote-getters will be held on Oct. 28. While Bolsonaro leads heading into the first round, several recent polls suggest he would lose a runoff to former Sao Paulo Mayor Fernando Haddad, who is currently second in the race. The conservative candidate was expected to be released from hospital on Friday, but his departure was delayed because of fever and a minor infection. Instead, he spent most of his day denying a report in the magazine Veja in which an ex-wife accused him of fraud, tax evasion and stealing money she kept in a bank safe in Rio de Janeiro. His campaign pledged to take the magazine to court because of the report. Bolsonaro’s ex-wife Ana Cristina Valle said she was “hot headed” when she made the accusations. She is currently running for Congress using her ex-husband’s surname.